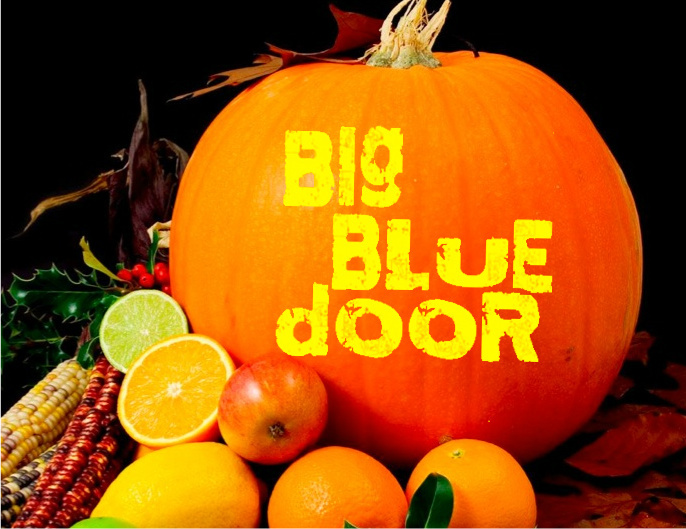 October brings to Big Blue Door a harvest of activity bigger than a Halloween pumpkin! I’m teaching three classes, two improv classes sponsored by Live Arts, and one Telling True Stories class that put together ourselves. Also at The Bridge the Hamner Theater is staging Stanley Ann, a one-woman show written by Mike Kindle, directed by Boomie Pederesen, produced by Jen, and staring Kate Adamson. I’ve been helping too. This is the first play Jen and I have been involved with since moving back to Cville so we’re very excited. The show dates are October 25, 26, & 27. Finally, we finish out the month back at Live Arts on October 30th with the class showcases for the two improv classes! Hilarity will ensue!